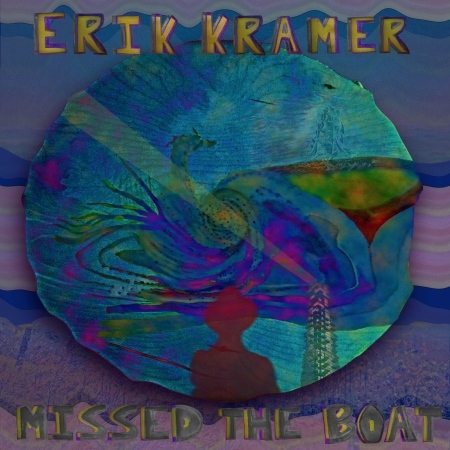 Listen: Erik Kramer - "Missed the Boat"
Brooklyn-based Erik Kramer has spent much of his music career to date as a session musician and sideman (he has played bass for previously featured act Sun Cut Flat), though his first solo release Missed the Boat is a captivating collection of tracks that shows this talented singer/songwriter stepping into his own spotlight. Featuring six songs aided by some of NYC’s top musicians, it’s an extremely eclectic listen, as evidenced by the glistening and infectious self-titled track. The album is out in late May, but this particular track has a ton of substance to tide listeners over. Swanky brass and Latin percussive pulls complement a fervent, exotic vocal lead as it ascends into a wholly consuming build-up around the three-minute mark. What starts as sounding like a Radiohead track finishes as an extremely diverse, passionate listen with a variety of stylistic touching stones. “Missed the Boat” is a surefire winner from a debut album that’s bound to impress.